In 1964, Amilcare Merlo established Merlo SPA in Cervasca, Italy and began producing mobile construction equipment. Today, its main facility is still in Cervasca and occupies 2.3 million square feet with 1,200 employees. Merlo’s philosophy is to build as much in-house as possible (92%) through the use of automation. A tour of the facility features 38 robots, 16 machining centers, 11 automatic steel cutting lines and 3 high-tech powder coating lines. 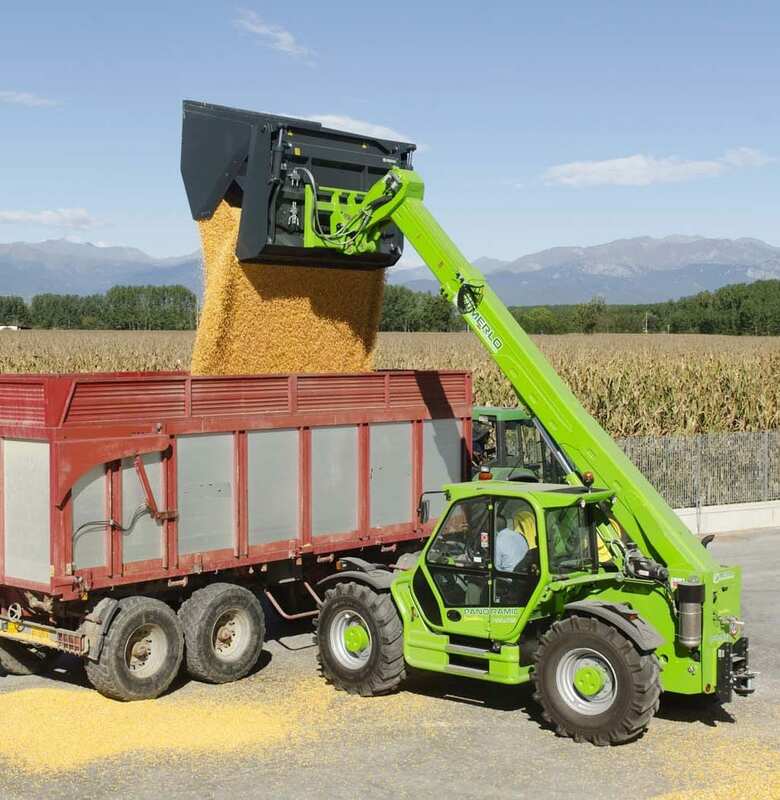 Merlo’s first telehandler arrived in 1981 with the SM series, which is still in use worldwide. Since that first machine, Aaseries of true innovations ensued, including “industry firsts” for side-engined telescopic handlers, rotary telehandlers, the first true agriculture tractor/telehandler (Multifarmer) and the first 26,500 lb capacity unit. Big performance advancements in compact design, safety, visibility, maneuverability and hydrostatic drives that offer unparalleled comfort, efficiency and above all, safety, soon followed. More innovation is sure to come as Merlo remains committed to research, advanced technology and mechanization. Applied Machinery Sales (AMS) imports, sells, and distributes world-class heavy equipment for the construction, agriculture and rental industries. Since its start in 2010, when it was named the official importer for Merlo Telehandlers for the U.S., AMS has added VF-Venieri earthmoving equipment to its lineup. All machines are available through direct sales and a growing dealer network.